Podcast Question Of The Week – Episode 88 – Alohomora! 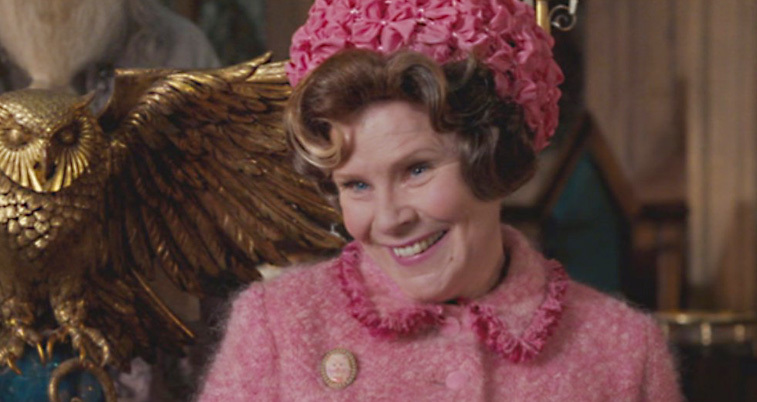 The Ministry of Magic has always considered the education of young witches and wizards to be of a vital importance – sure, but what is Umbridge up to? Hem, hem. Excuse me, I have a toad in my throat. In this chapter, we officially meet Ministry of Magic Senior Undersecretary to the Minister Dolores Umbridge – who has just been appointed as the new DADA teacher. She gives quite the “illuminating” speech to staff and students alike. What was the speech to accomplish? Whom was she most speaking to? What did she expect to get out of it, if anything? Leave us your response below & we just might read them on the next episode of Alohomora!